Street Team - Gaming Hoopla - Gaming for a good cause! 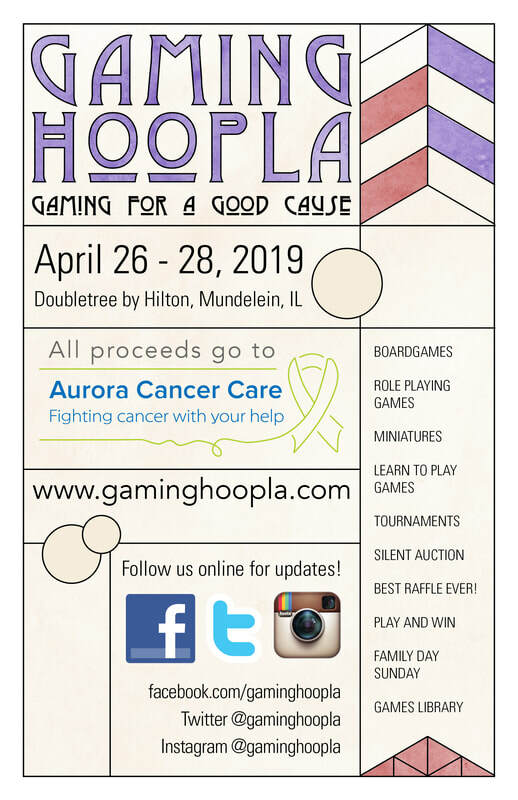 The Gaming Hoopla needs you! We're looking for individuals to spread the word about the Gaming Hoopla as part of our Gaming Hoopla Street Team! Share your story about the fun you have had at a Hoopla and answer questions that others have about what goes on at the Hoopla. What does the Street Team do? The Street Team helps to spread the word about Hoopla. They help notify people that badges are available for sale – events can be added and signed up for and overall build excitement for the convention. If you'd like to be part of the Gaming Hoopla Street Team, please fill out the form to the right. What does the Street Team get? When you register to be part of the Street Team, you will receive a Street Team packet in the mail. Your Street Team packet will contain Hoopla business cards, posters, flyers, and advice on how you can help. FREE Street Team Ribbon to hang from your BADGE. using #hoopla2019. Put up a poster or flyer? Take a picture and post it! Just spent that last 20 minutes chatting up Hoopla on BoardGameGeek or other gaming site? Let us know! know YOU'RE an active Street Teamer! Please post the flier image below to your social media!!! Want to help but don't need a whole packet? Download a PDF of our fliers below to print yourself.